October 26th is the estimated ship date for LYCIA’s new Projekt release, In Flickers. While you’re waiting on your copy, preview the track “Rewrite” at CVLTNation. 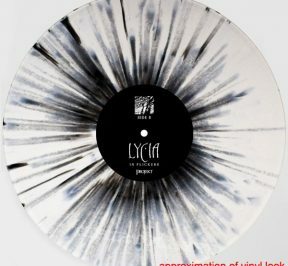 CD/LP/T-shirt at Projekt’s website or CD/LP/Download at Projekt’s Bandcamp page or for our European shoppers, CD/LP at Projekt’s European Webstore the Lycia LPs are limited editions of 150 per style, and they are selling quickly! Please note this release is not on Projekt; it’s an item we are stocking in our webstore. We don’t have promo copies. 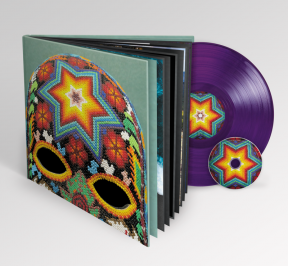 Dead Can Dance return this November with Dionysus, their first album in 6 years. Projekt is taking preOrders on the CD, LP, and CD/LP-Book edition. The album is described as “seven movements representing different facets of the Dionysus myth and his cult.” Lisa Gerrard (who is currently on tour in promotion of her album with The Mystery Of The Bulgarian Voices | available from Projekt here), sings on 4 of the seven movements featured on the new Dead Can Dance album. At the heart of Dionysus is a celebration of not just humanity but humanity working hand in hand with nature with respect and appreciation. Look at this! Two of Projekt’s biggest mid-90s band are releasing new albums (And yes, that’s right! LYCIA is back on Projekt.) We’re about two months away from the release of LYCIA’s In Flickers and Black Tape For A Blue Girl’s To touch the milky way. These new releases are available for preOrder. We also have a T-shirt for In Flickers. And now on preOrder, the repressing of Black Tape For A Blue Girl’s 2LP Remnants of a deeper purity with a T-shirt option. There’s bundle pricing at the Projekt website. These 3 releases (minus the shirts) kick off our collaboration with Projekt’s European webstore (more details below). 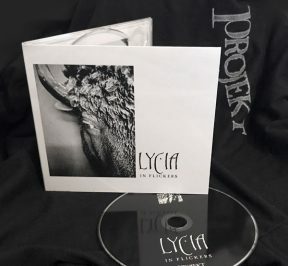 LYCIA: In Flickers CD/LP/T-shirt at Projekt’s website or CD/LP/Download at Projekt’s Bandcamp page or for our European shoppers, CD/LP at Projekt’s European Webstore the Lycia LPs are limited editions of 150 per style, and they are selling quickly! Black Tape For A Blue Girl: To touch the milky way CD/LP at Projekt’s website or CD/LP/Download at Black tape for a blue girl’s Bandcamp page or for our European shoppers, CD/LP at Projekt’s European Webstore Limited edition of 300, half reserved for the Kickstarter backers. Black Tape For A Blue Girl: 2LP Remnants of a deeper purity 2LP/CD/T-shirt at Projekt’s website or CD/LP at Black Tape For A Blue Girl’s Bandcamp page or for our European shoppers, CD/LP at Projekt’s European Webstore< Limited edition of 150.
jarguna and Friends: TRAPPED Vol. 2 is name-your-price at Bandcamp. jarguna is Italian sound-artist Marco Billi: ethno-organic-ambient-electronic music in a mandala-like hymn to ethnic, tribal, ritual music. It’s a journey of sounds, feelings, contrasts, acoustics and electronics. From the first recordings in 1998, jarguna releases its 24th effort TRAPPED, a collaboration with like-minded creators.